Discovering fossils and stones, listening to exciting saga or experiencing nature from the point of view of a forester or a hunter? 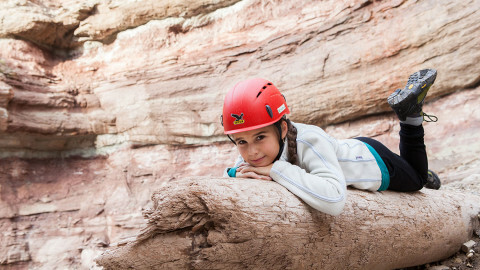 According to the motto “Bletterbach for kids”, we offer a special programme for families with children aged between 6 and 12. 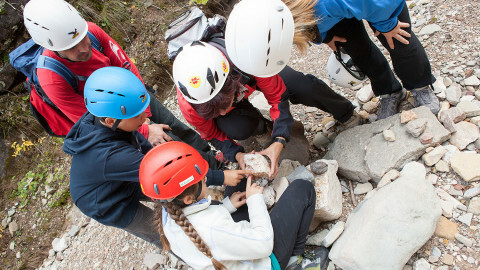 During this guided day tour through the Dolomites UNESCO World Heritage site visitors experience the GEOPARC Bletterbach from “Taubenleck” to the so-called “Butterloch” until the end of the valley, the “Gorz”, and learn some details about the gorge’s features. 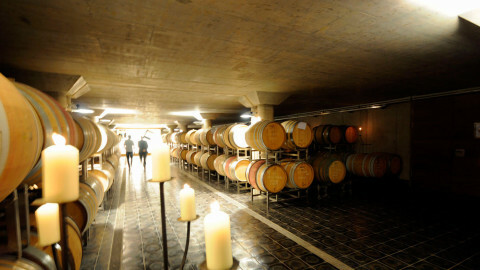 Both elements – rocks and wine – combine two typical features of South Tyrol’s Unterland area: after a guided tour through the UNESCO World Heritage Bletterbach, visitors reach a local winery where they enjoy a presentation of its wine production, from the vineyards to the wine – and of course a final wine tasting.